Top 10: Hot Destinations to Travel to Right Now! Despite the clocks going forward, signalling the start of summer, we’re still in coats and very bitter about it. For those just dying to shed those layers and lie back in a bed of white sand, you don’t have to go far to do so. There are plenty of nearby places that are basking in sunshine and they’re just a hop, skip and flight away. From Lanzarote’s other-worldly, sun-baked landscapes to Hurghada’s blindingly white shores and technicolored reefs, we’re packing it in and taking summer into our own hands. 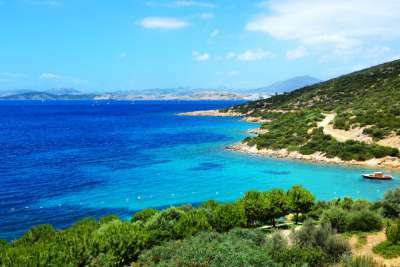 Flying to warmer climes is only a four-hour journey: Bodrum and its lively resorts are only that far away. Spend your days taking in the sight of super yachts, lounging on beaches in nearby Gumbet, and partying into the early hours. It's known as the St Tropez of Turkey for a reason. 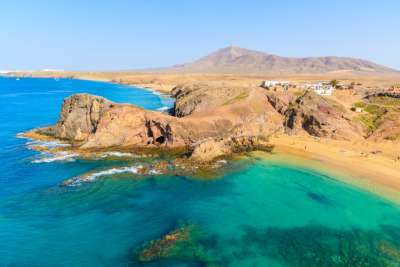 Not only does Fuerteventura boast countless miles of white sandy beaches but those warm sea breezes from Africa keep it nice and toasty all year round. With dramatic volcanic landscapes, sandy dunes to experience and local markets to explore, it's a great spring destination. 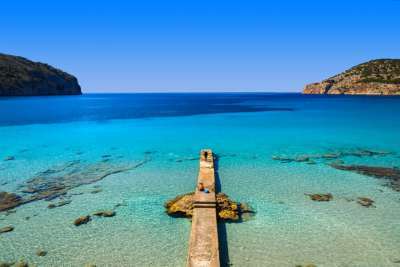 Rhodes' east coast attracts tourists in the thousands - with a ribbon of uninterrupted beach blessed by perpetual sunshine, who could blame them? 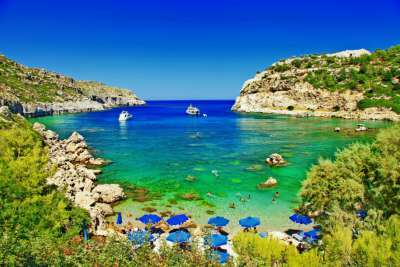 Curl your toes into the sands of Lindos, with the ruins of the Acropolis as a reminder of Greece's rich history, dance the night away in Faliraki or relax on Pefkos' Blue Flag beach. 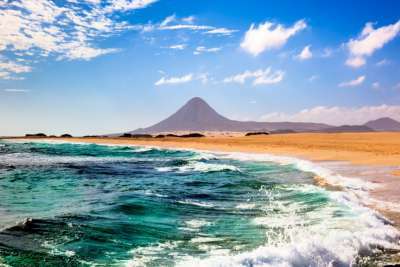 Sunny Lanzarote, the 'land of eternal spring'. It's a favourite with those who want to shake off the winter blues early! With a variety of different beaches to pick from, many extremely good for watersports, and fantastical landscapes that make you feel as you though you've landed on the moon, it's a sight for sore eyes. 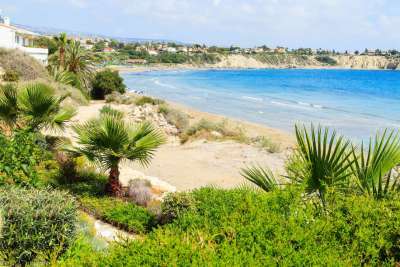 The warm shores of Paphos are calling. You can spend half of this sunshine-filled holiday exploring fascinating ancient ruins and archaeological sites across the south then finish it off by setting up camp beachside. The area's Blue Flag beaches are flanked by towering limestone cliffs and palm trees that sway in the breeze. 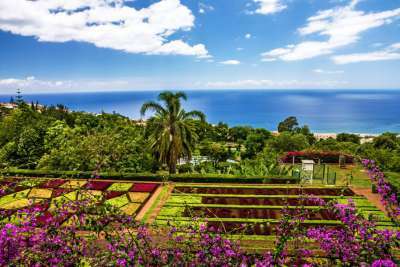 Madeira boasts stunning forests, one of which is a UNESCO World Heritage site, cliffs with incredible views and countless beautiful gardens. It begins to heat up in April and the sea is almost always warm and home to dolphins, seals and whales. Swim in the volcanic rock pools at Porto Moniz for something extra special. Spring time in Marrakech is the city at its most beautiful. You get to skip the sweltering temperatures of summer and the crowds. 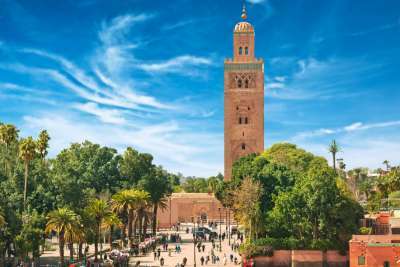 Wander around this eclectic city, bargain hunt in its bustling souks, lounge in incredible gardens, and stay in romantic riads - it's a city break at its best. Summer climes begin as springtime appears in Majorca. Hit up the many inlets, bays and coves - as the temperature heats up, the turquoise waters look even more inviting. From Alcudia and Puerto Pollensa to Magaluf and Palma, you've got shops, restaurants, and bars galore off the beach. With so many sights to see, Malta has been likened to an open-air museum - and what better time to see it all now, when it's warm but not too hot. Valletta, the UNESCO capital, is a good place to start but its coastline is where you can take advantage of all that sun. Make a beeline for Mellieha Bay! No need to wait for the high temperatures of July and August - go to Hurghada now! With temperatures up to 30°C, it's a marked difference from UK weather. 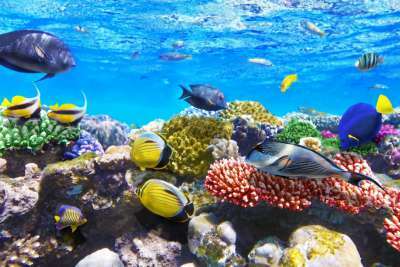 Jump into the Red Sea to cool off and explore the coral gardens, dolphin-friendly reefs, and World War II wrecks. You won't want to move far from these white sandy beaches.